Fifteen years is a long time by anyone’s reckoning and that’s how long it had been since my first (and last) visit to Munich. The thing is, I have no idea why it took me so long to return. I’m in Germany at least once or twice a year, but for some reason the capital of Bavaria had somehow remained off of my to-do list. There’s no reason for it, I loved my first time in the city and so it was with a lot of excitement that I finally returned to get to know it all over again. Since it had been so long in between visits I treated it as though it was my first time in the city, not just because Munich has changed but because I have a terrible memory. I did a lot over those few days in the city and instead of just listing key sights and experiences, I thought I would share how the food scene I discovered very much parallels Munich itself. Munich is a very old city with an incredible history, both positive and negative. So there is a lot to see and do around the city, more than enough for several days of exploration. Just as there is a very traditional base in what to see and do, there is also a very traditional foundation to the food culture as well. It’s also a food culture that is extremely well known to Americans. In fact, Bavarian food is what most us of think all Germany food is like, even though that’s actually very far from the truth. 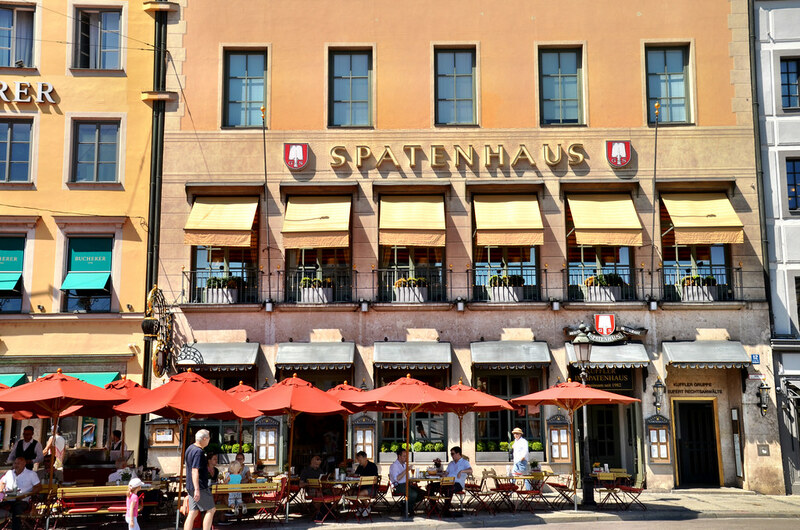 Within a couple of hours after arriving into the city, I had my first lesson in traditional Bavarian food at one of the city’s most famous restaurants, Spatenhaus an der Oper. With a reputation as solid as its food, I was excited for my lunch here and for an opportunity to try perfectly made Bavarian Weisswurst or white sausage. 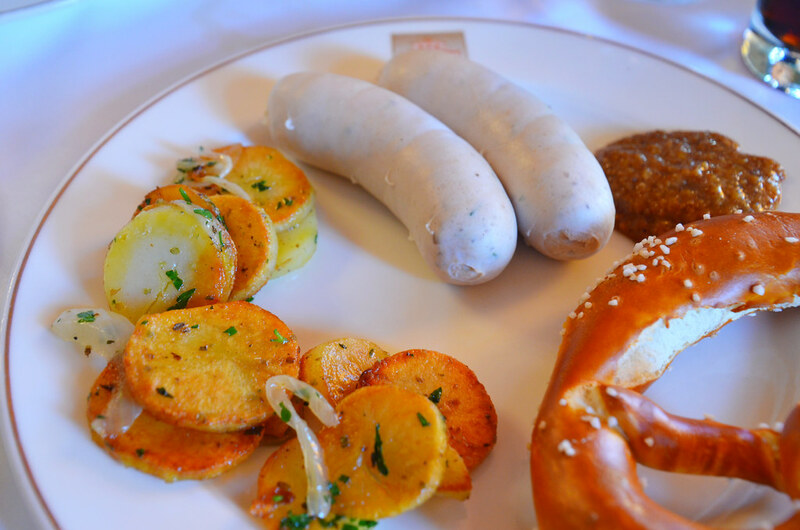 The Weisswurst was created in Munich in the 19th century and since then has become a key part of Bavarian cuisine and culture. There are though some rules to keep in mind. First, you need to eat it early in the day. It’s an old tradition that ensured it would still be fresh in the days before refrigeration. Also, be sure to eat it with some mustard and a pretzel, pretty much nothing else is acceptable. Although I ate it for lunch, which is slightly taboo, it’s very common at breakfast and is something I noticed everyone eating very early in the day. Aside from pretzels and sausages, Munich is of course famous for its beer culture. Munich is one of the world’s great beer capitals and the city has spent centuries perfecting their famous brews. Aside from Oktoberfest, there’s a lot to learn about beer in the city. 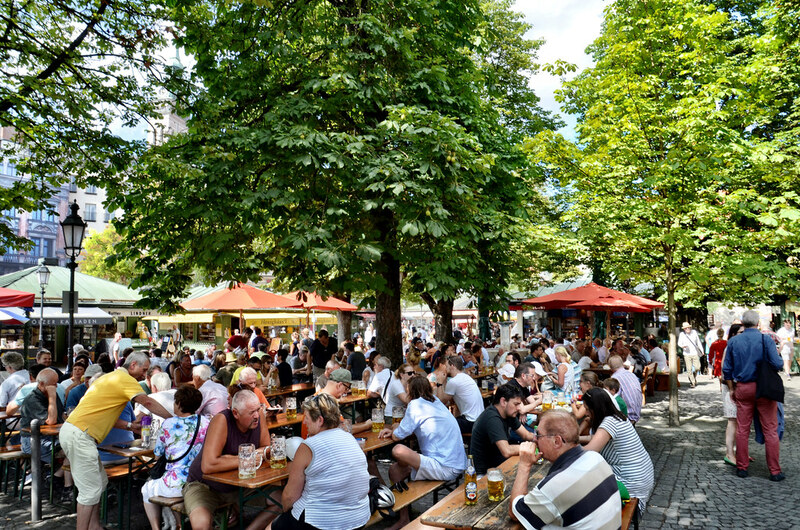 The first beer garden actually started in Munich and quickly became a popular sensation, spreading across the city, region and world. These traditional gathering spots can still be found all around town either in parks or adjacent to one of the city’s breweries. Beer in Munich is about so much more than getting drunk, it’s a social occasion – an opportunity to be outside with friends. It’s also just a lot of fun as I learned one evening at the Paulaner brewery. They’ve built a great new facility in town where they can accommodate hundreds of people both inside and out. It’s a fun way to learn how to properly appreciate the tradition of socially enjoying beer in Munich. Munich isn’t only about its past though, it’s a vibrant and dynamic city with a lot more to offer than medieval buildings and old palaces. This is also very well reflected in the current food scene and some very creative and innovative cooks are creating delicious bites. 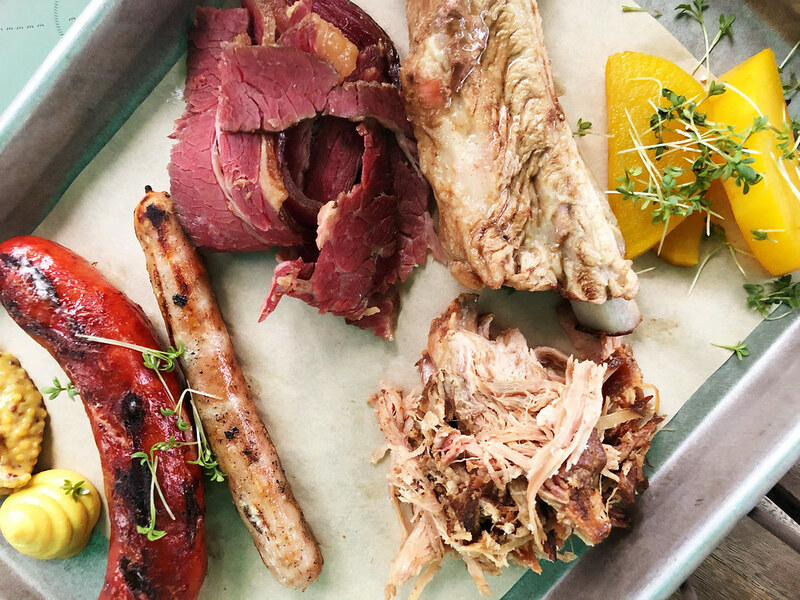 A local food writer spent an evening with me, sharing some of his favorite up and coming spots around Munich, but the one that resonated most with me was an unlikely discovery in southern Germany, a traditional American BBQ joint. There are actually several of these popping up all around Munich; I guess the food from my childhood has made it across the Atlantic. 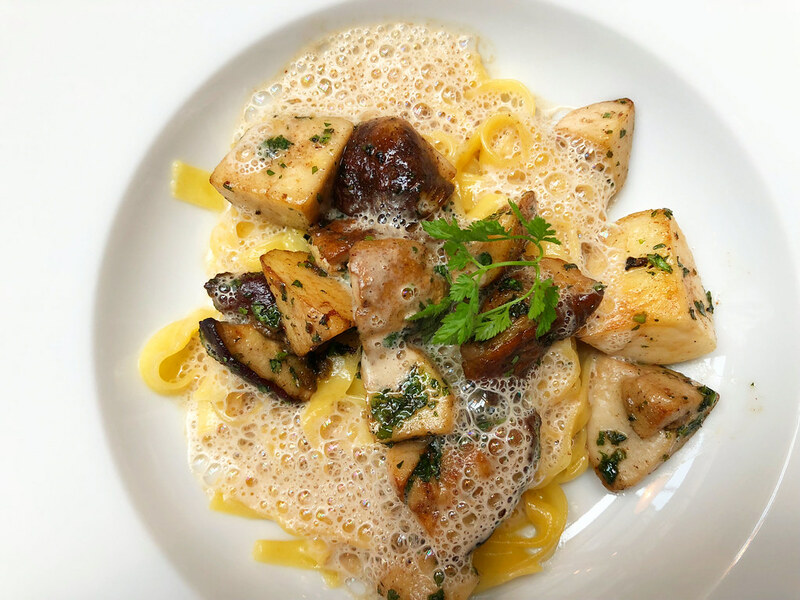 It was a welcome find though and as soon as I stepped into the popular restaurant Meisterstück, I knew I was in for a great evening of delicious food. Low and slow is the name of the game here and the restaurant features a number of BBQ classics, served alongside their equally fabulous beer. It was a surprising discovery, but a welcome one. For something a little bit different, we ended our evening at the Asian-fusion bar and restaurant the Drunken Dragon Bar. Located in the heart of the city’s old LGBT district, the clientele is diverse but everyone is there for one reason – to enjoy a fun night out. The food is creative and delicious, offering twists on classic Asian flavors and textures. When coupled with one of the café’s signature cocktails, it’s a perfect night out. I expected to find the traditional in Munich, but not this creative side and it was a wonderful discovery that made me love the city even more. The final step in my reintroduction to Munich was to experience its luxurious side. In a city as important as Munich, there are any number of ways to pamper yourself, but there’s perhaps no establishment as famous as the Hotel Bayerischer Hof. This is truly one of the world’s great hotels, first opening its doors in 1841. Since then the property has further defined and refined its reputation for offering the best hospitality experience in the city, and that certainly extends to its kitchens. The hotel offers a variety of different dining options, including the 3 Michelin star restaurant Atelier. Next to Atelier is another fine-dining experience that’s not to be missed, the Garden. This slightly more laid back yet still undeniably luxurious dining experience was the site of my final meal in Munich, and I couldn’t have enjoyed a better treat. The restaurant is unique in that it offers cutting edge fine-dining dishes alongside more traditional Bavarian fare. In other words, it was the perfect fit for me and my dining style. No matter which restaurant you patronize at this five-star hotel, just make sure you spend at least some time in this Old World luxury property. Yes, I saw all of the sights in Munich that has made it so famous and popular among tourists over the years and enjoyed every moment of it. But that story has to be told hand in hand along with the culinary discoveries made along the way. Food is an integral aspect of any trip to Germany, but it takes on an even higher level of importance when visiting the bustling city of Munich. The post Rediscovering Munich Through Its Food Scene appeared first on LandLopers.